EZ FullRehab is a complete home remodeling & construction firm with over 28 years of experience. Our team is known for our reliability. My name is Sarah Ovadia, founder of EZ FullRehab, I take great pride in my management skills acquired over various environments that have shaped my commitment to timely, dependable and thorough remodeling services. The most important thing I've learned over the years is to unbiasedly listen to my customer's dream wishes, needs, concerns.we will guide you step by step, even when the road is sometimes difficult, to have the perfect plan with the perfect budget to make it happen! Seeing our costumer's gratitude and pure happiness in their home after the completion of a project is the best part of my job. Please feel free to call or email me, I'd love to learn about your dream home. 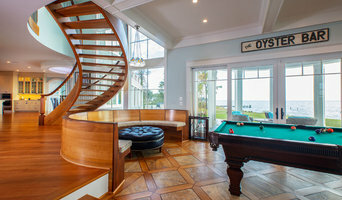 Old Dominion Renovators specializes in major renovations and expansions of older homes, creating dramatic results. We will transform your home visually, create a more livable floor plan and enhance the value of your investment. Jim Egnew, general manager of Old Dominion Renovators, is a both a graduate architect and a Virginia Class A General Contractor. Jim brings over thirty years of renovation experience to every project, with a balanced approach to design, quality and cost. His background includes single family, condominium and historic property renovations, as well as larger scale commercial redevelopment projects. Old Dominion Renovators goal is to be your trusted advisor, managing the design, permitting and construction process from inception through completion and move-in. Three Rivers Builders provides full in-house architectural services, with reliable project management, we coordinate all schedules and trades from design, pre-site work, bidding and more. We have an experienced and dedicated team committed to providing the best service possible to deliver a first-class, quality project. We work with the client on initial design concepts to give the client the home of their dreams! We work within your budget. We obtain the permits, follow regulations and comply with zoning laws throughout construction and final walk through—are all organized and performed by our professionals. We have extensive experience in the construction of industrial and commercial projects, we have the skills, experience and technical knowledge required to provide exceptional Project Management and Construction Services. Award-winning Spear Builders of Virginia, Inc. is dedicated to constructing new custom built homes and historic preservation throughout Virginia. Families choose Spear Builders to provide exceptional homes built with both skill and heart. This distinction is exactly why our reputation as a premier family homebuilder in Virginia remains one of excellence. Daniel Krienbuehl (Kree-en-buell) Contractors Inc. is a full service home improvement and remodeling contractor serving Montgomery County MD and surrounding areas for 17 years, since 2001. We have built a loyal client base by keeping our commitments and meeting our clients' expectations. If you would like a great experience with your home improvement projects, give Daniel a call at 301-962-0581. Daniel started his construction career in 1983 as an apprentice in Switzerland, Europe. There he learned from experienced old school carpenters how to timber frame and build log houses. Cutting mortise and tenons for structural posts is still something that's done today. Since the late 80's, Daniel has learned all about the ever-changing U.S. construction industry. Daniel started his own remodeling company in 2001 and has since designed and built many additions and remodels in and around Montgomery County, MD. Through years of experience, Daniel has obtained the noteworthy ability of navigating design changes that make construction easier and cheaper. He has proven himself to be an upstanding communicator, prompting all parties involved in a remodeling project to work as one. His ability to plan, schedule, and execute projects have made jobs less stressful and more rewarding for his clients. Mentioned frequently in client reviews are that Daniel (and the DK team) are staying within budget, responsive and available, clean and organized, and completing the job on time. Winner of the 2014, 2015, and 2017 CotY awards, Daniel brings a track record of success to every project. 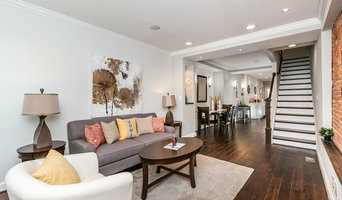 With more than 25 years of experience serving our clients throughout Virginia, Maryland and D.C. , Zelaya Properties has developed a reputation for intelligent design, creative problem solving and an uncompromising commitment to professionalism and integrity that has made us one of the area's most respected and in-demand general contractors. We provide a proactive and confident approach in working with our clients. We tell it like it is and our clients respect our no nonsense approach. This mutual respect is the foundation we build lifelong relationships on. Why do we do it? We are in the business of building more than just physical spaces. We build Dreams, Futures, Comfort, Happiness, Security and Peace of Mind for our clients. Green Solutions Systems, LLC is a family-owned and operated, full service home improvement company with over 75 years experience. Maryland License #3. Green Solutions have completed over 1000 projects within the Maryland area. 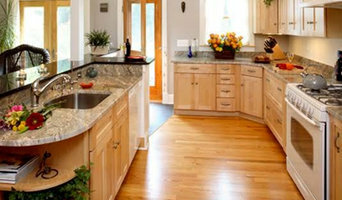 We specialize in replacement kitchens, bathrooms, additions, decks, windows, siding and doors. Upon contacting us we will schedule a convenient time to meet and discuss your project. During this meeting our representative will discuss the many options available to you and show product samples, pictures, and references. Then we provide you with a firm written proposal. Once you decide to move forward, we will assign a project coordinator who will visit your home to review the project, schedule delivery and start dates, and be your personal contact during the manufacture and installation process. During the installation your project foremen will be on site to answer any questions and walk you through the finished project. We look forward to serving you in the future. 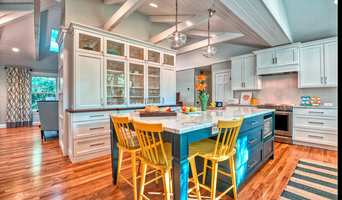 RJZ Home Improvements, LLC (RJZ) located in the Frederick County, Maryland, is your complete source for residential design services and home renovation projects. The company is a build and design remodeling firm. We offer more than sixteen years of within the construction industry. RJZ has been recognized as a leading general contractor providing homeowners superior craftsmanship and quality construction management services. The company is based almost exclusively on customer referrals so, we remain committed to being one of the most trusted, valued and recommended home improvements companies in the area. Impact Construction and Consulting, LLC is a service-oriented company with extensive experience and expertise in design, planning and management, construction, safety, and environmental sustainability. Our highest commitment is to our clients – working with them to establish and exceed their project goals. We adhere strictly to industry best practices, including LEED, which results in the highest value for our clients and the lowest impact to the environment over the life of the building. Our company succeeds because of the integrity of our workforce, our commitment to working with respect and consideration, and our passion for building structures that are beautiful, durable, and constructed with thoughtful consideration for the environment. Our mission is to plan, renovate, and construct high performance buildings and homes that are durable, healthy, and constructed with awareness of their environmental impact. To educate consumers on environmental choices, and by doing so, contribute to building an environmentally responsible community. By following these basic principles, ROBERT & SONS has grown and prospered, as hundreds of satisfied homeowners and businesses have told their friends and family members about the superb service and workmanship of Robert & Sons Home Improvement. We are a family owned business; we have been serving Virginia, Maryland and DC since 1984. The owner Robert Flores has over 35 years experience in home improvement. We have prided ourselves on offering creative solutions to a variety of home improvement and home repairs projects as well as top- notch craftsmanship by carpenters and painters. Our staff offers quality and reliable services you can count on. In addition, our friendly and professional staff is here to answer any questions you may have about our company or our services. Our employees, working as a team, are our most important resource. It is only by their performance, dedication and achievements that we will remain a successful company. We strive for dependable, friendly service provided by our employees to anticipate and exceed our customer's expectations. As a family owned and operated business, Gruver Cooley is dedicated to providing Washington, DC area homeowners with the highest quality construction and remodeling services available. For over a century, we have built our solid reputation with talented and experienced staff, the finest materials, honest and open communication, and an absolute commitment to every detail. We specialize in all aspects of custom home building, home and condominium remodeling and small custom projects. Each Gruver Cooley project receives the benefit of our strong heritage, a real understanding of the project goals, superior craftsmanship and the pride we take in our work. Whether you are building a new home or remodeling an existing home or condominium, Gruver Cooley provides superior service and outstanding quality. 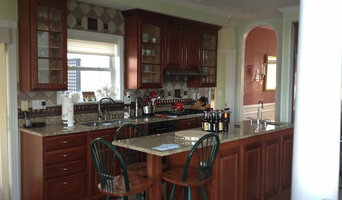 Barratt Construction provides quality remodeling for home and business owners in Washington DC, Maryland and Virginia. We work with respected designers, architects, and engineers to deliver timely, cost effective solutions for our clients. All services offered are completed in-house by our full-time teams; because we don’t use sub-contractors, we control the process from start to finish. This gives our clients a more efficient, higher quality remodeling experience. As a full-service contractor specializing in custom solutions, our projects often involve expanding the square footage of an existing property; with additions, basement remodels, and adding floors to the footprint of the home. Whole house remodels, and stunning kitchen and bathrooms are our trademark.